This mod provides a client-side user interface for the WorldEdit plugin allowing you to see your selected region in-game in real time. It allows you to work more quickly and accurately with your WorldEdit selection and is especially useful when working with Polygon, Convex Hull and Cylinder selections. 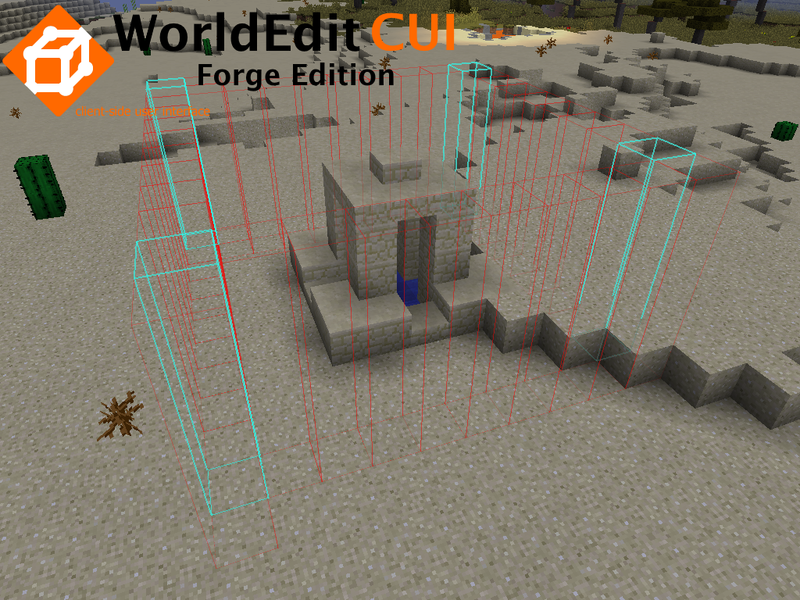 This is a complete rework and a fully recoded version of WorldEditCUI Forge Edition with great improvement. 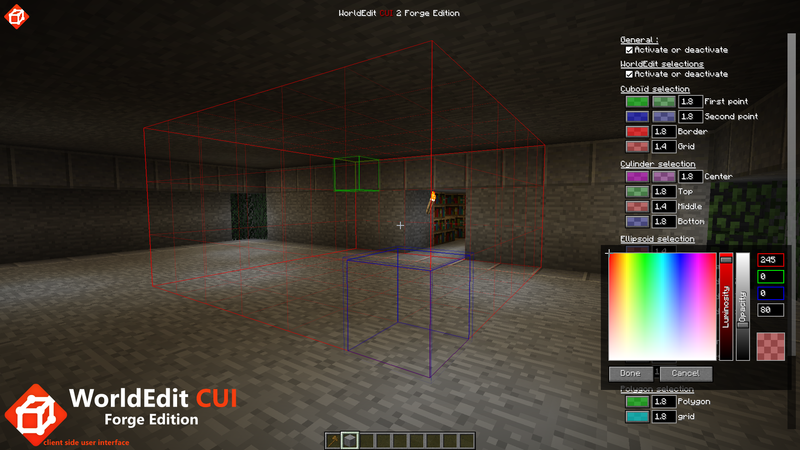 However, WorldEditCUI Forge Edition 2 is only compatible with Minecraft versions starting from 1.11.2. 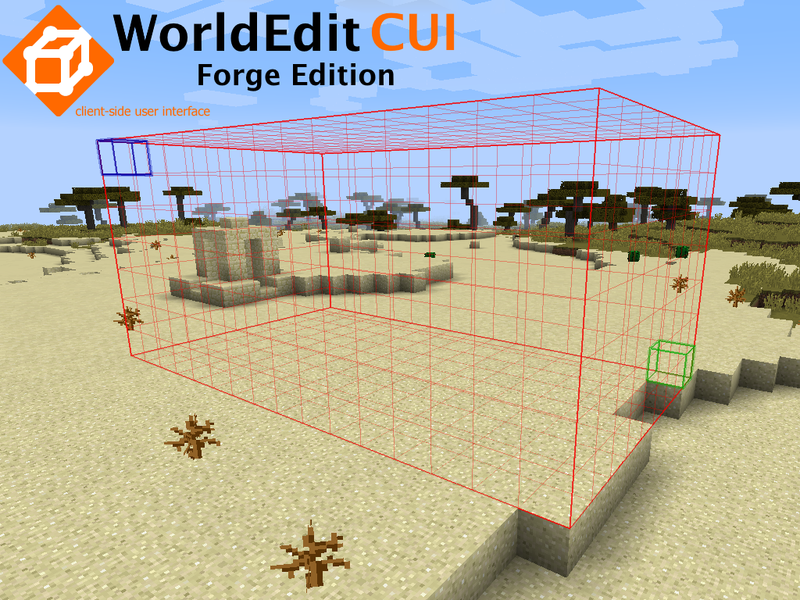 If you are using an older version, consider using WorldEditCUI Forge Edition (first forge edition). This new version has been highly improved. Every single color can now be changed using a new style of the options screen. Choose the color that fit your feeling. You are no longer limited to Minecraft colors. 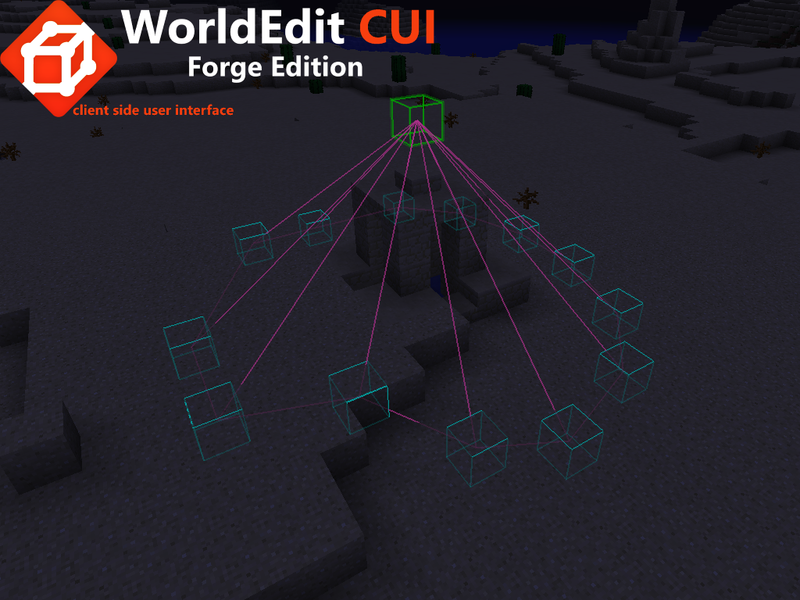 Download the latest version of the WorldEdit CUI Forge Edition 2 for you forge version and copy it to your mods folder. Of course, you'll be added as a donator. I have downloaded the provided .jar file on the page above and have copied it to mods folder. It appears in MODS when the game is started but commands are not accepted, wooden axe is just wooden axe. However, there is no Forge 1.12 version at this time. I have placed the file in my mods folder and have installed forge and liteloader. 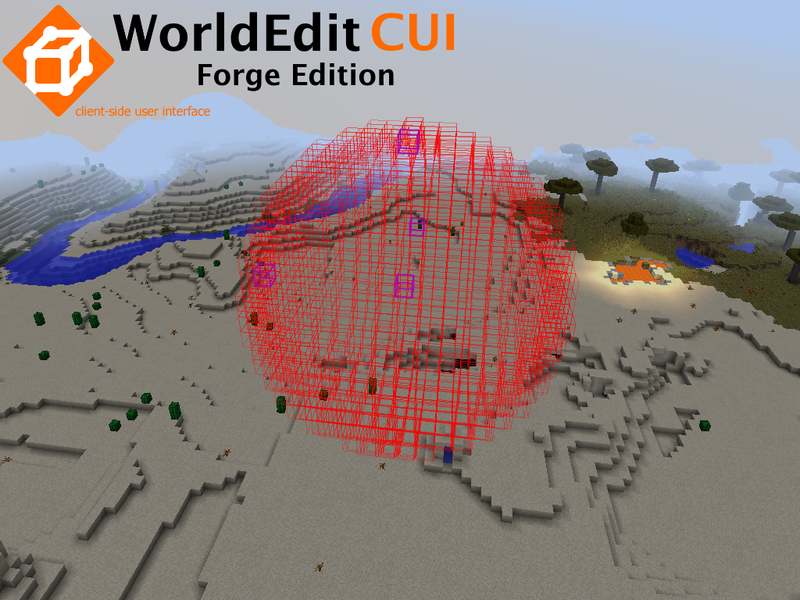 WorldEdit CUI is displayed in MODS in the game but it is not working. Am I to understand that I need both WorldEdit AND WorldEdit CUI for it to work? As defined in the description CUI is for client-side user interface. This mode only intends to make life easier when using WorldEdit as it helps you in displaying the selections we made with it. 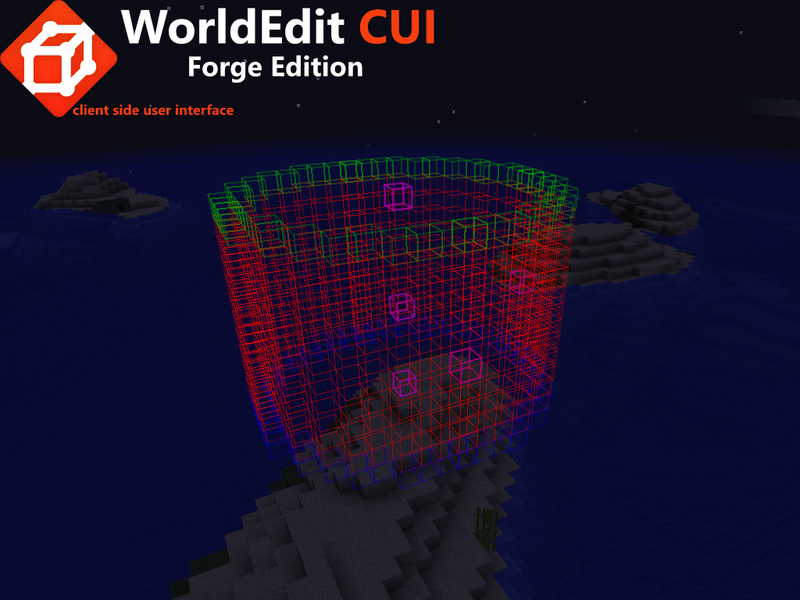 and yes, there's no point of using WorldEdit CUI if you don't have WorldEdit. OK I understand I will be waiting for WorldEdit version compatible with 1.12. Thank you! Why did you put this on 1.12 before WorldEdit came out for 1.12? That's kind of stupid. It was already out for Bukkit. And as long as sk89q do not change the protocol version it doesn't matter if the bukkit or forge version is out or not. Does the 1.12 version still needs worldedit? It will always need WorldEdit. Question: is this a plugin for WorldEdit or does this contain the full WorldEdit Program meaning we only need this installed and not both and the other issue is - for some reason my grid wont appear, its like maybe Im hitting a key combo that might be toggling the grid off and on? Is there a hotkey I might not be aware of that may cause my issue of the grid not appearing? Each hotkey can be configured in your control settings. I have done everything as it is written, but none of the world edit's commands work, it says "unknown command". Yet the mod is activated and "available". Is there somebody who could help me ? Ce n'est pas WorldEdit mais WorldEdit CUI. CUI pour Client User Interface. Tu dois installer WorldEdit en premier lieu. Cependant, la version pour Forge 1.11.2 n'est pas encore sortie. This is not WorldEdit but WorldEdit CUI. 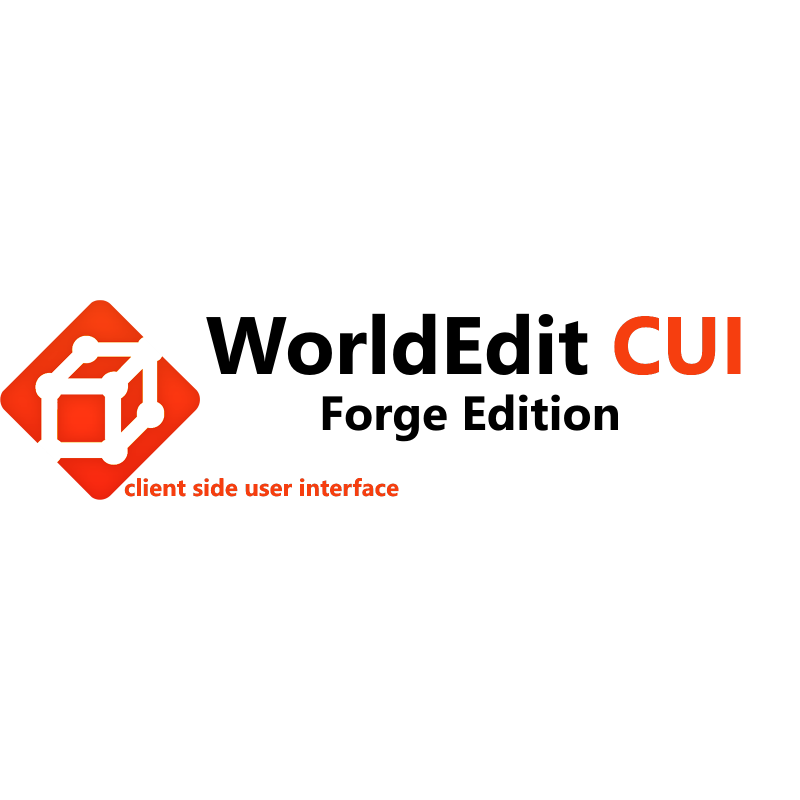 CUI is for Client User Interface. You need to install WorldEdit first. However, Forge version 1.11.2 is not out as the moment. Aurais-tu alors un lien pour word edit 1.11.2 s'il te plait ? Pour bukkit, si j'ai bien compris c'est sur serveur ? Or je joue en solo et je dois admettre que je n'ai pas envie de m'embêter avec un serveur, où il faudrait alors tout configurer, quand je peux l'avoir en solo. Edit : bon j'ai trouvé le mod world édit pour 1.11 et il s'avère qu'il fonctionne en 1.11.2 avec forge de la même version donc tout est parfait et encore merci de ta réponse ! Thanks a lot! I hope Forge Essentials mod come soon too as well!